YS Tech USA and CTfanman visit the YS Tech Thermal Solution factory in China. During December, as we mentioned last time, we were going to visit the YS Tech Thermal Solutions factory in Dongguan China. This factory is only minutes away from the YS Tech fan facility in the same area. 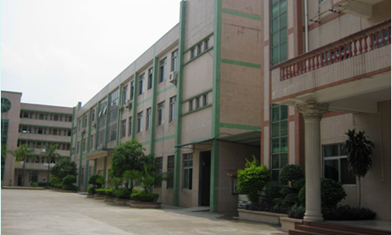 The Thermal Solutions factory is a mid-sized factory for China, having 300 to 500 employees, depending on production requirements. Here is what the facility looks like: As you can see it is modern and well cared for. Their focus is only heat sink fabrication and cooler manufacturing. 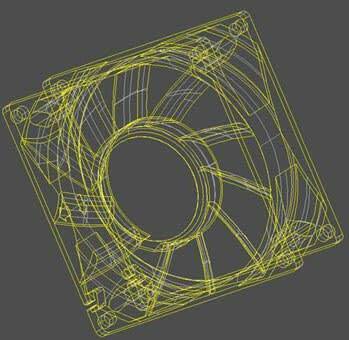 For all the Salesmen and women out there, their business model is the same as our fan factory’s, mainly they do not publish a huge catalog of standard parts because they are more interested in supporting the specific needs of your customers! What this specialized support means to you is, once a design win is realized it is much harder for your competition to get a foothold in the account because of the specialized nature of the Solution! Of course the offering is price competitive, so with your excellent on-going support, your customer will not be motivated to move the business. Our plant processes Aluminum extrusions. What this might entail is: cutting to length, various machining operations, including skiving, finishing and packaging. We will cover processes such as Skiving and other technologies [Heat Pipes for example] another time. This time we want to explain what in the heck a “Vapo Chamber” is! Pictures always help clarify technical details. In this instance the heat source is a CPU. The figure on the far right has the Vapo Chamber at the bottom, and the figure on the left does not. As you can see, the vapor in the Chamber helps distribute the heat throughout the entire Heat Sink area, greatly raising the efficiency! As you might imagine, this “simple” addition will be of great interest to some of your customers. In general, we can manage opportunities that range from 500-50,000pcs per order. That’s a pretty large spread. Our processes are very stable with a lot of attention on the details. Where we really like to differentiate ourselves is in the design service offered and the time to market. We would very much like an opportunity to demonstrate these turn key solutions to all our Sales professional friends!